Featuring 16 games and due out in October. 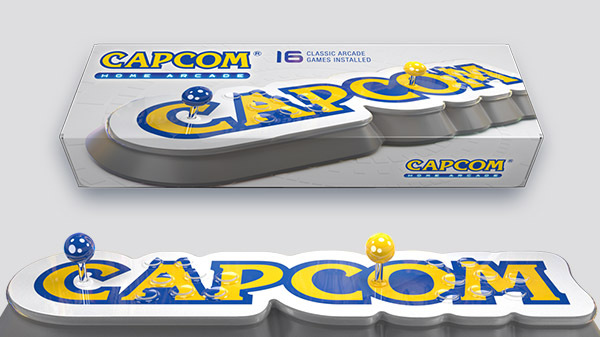 Capcom has announced Capcom Home Arcade, a plug-and-play device featuring 16 classic Capcom arcade games due out on October 25 in Europe for €229.99. Details on the North American release will be announced “soon.” Pre-orders are available now via Capcom Store Europe, with more retailers to be announced. Agreed, that thing looks hideous and stupidly unconfortable to play unless you have a desk or table to rest in. Would have preferred a single joystick. Capcom is really burning out all this compilations they have been releasing lately. nice that they are using actual HQ joysticks for this. I'm not worried about the look of it, more of the price of it is too expensive for the amount of games on it. It's almost more expensive than the arcade1ups and those have more hardware into them. Plus, why add wifi support to it and no online multiplayer! Yeah, this will cost almost as much as an actual console and for what little they offer it's just not worthy. Also it's indeed dumb that this doesn't have useful online features. It would be awesome if this worked on consoles and PC for use as a controller. I would buy it for sure then. But, I can build my own for under 50 dollars using the same parts to use for each controller, so I probably wouldn't even buy it for that. Even the bootleg arcade sticks work on most consoles and PCs. I have no doubt that this is going to be able to work on pc with some adjustments, afterall this uses an open souce emulator Final Burn Alpha wich is meting criticism because it's not the most stable out there.